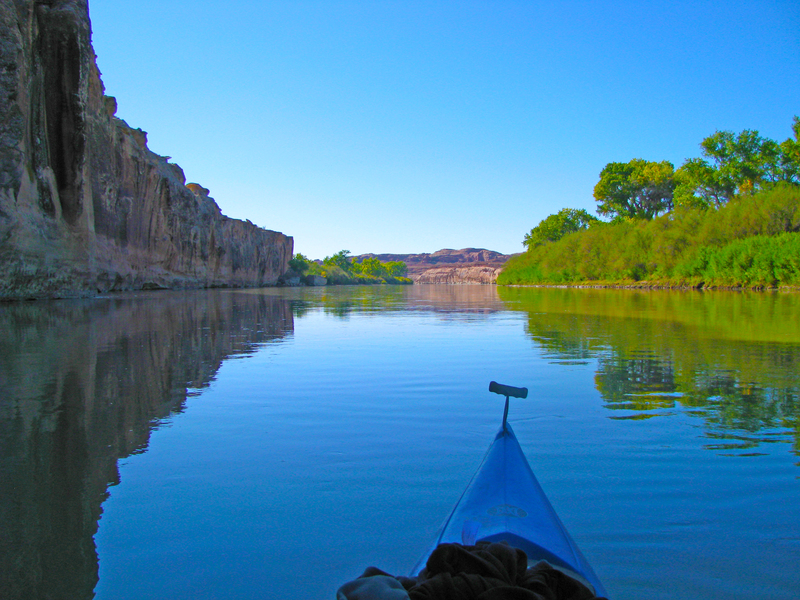 This special trip down the Green River through spectacular Labyrinth Canyon introduces the powerful new movement called Blue Mind - the power of water to relax the mind, uplift the spirits, and make you more productive in all you do. With expert guides and special fitness trainer Melanie Webb, along side the comradery of women, you'll be immersed in Mother Nature's Gym, nurture your mind, body, and spirit and return home rejuvenated and recharged. 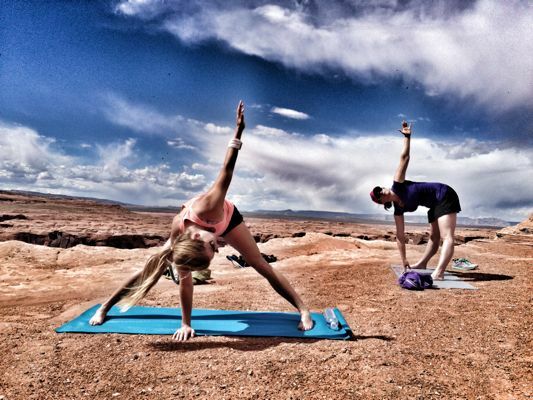 Partnering with Sol Fitness Adventures, Fitness and Wellness Travel Expert Melanie Webb bridges the gaps between human beings, nature, and health with her Mother Nature's Gym method of combining traditional training techniques with fun outdoor activity. 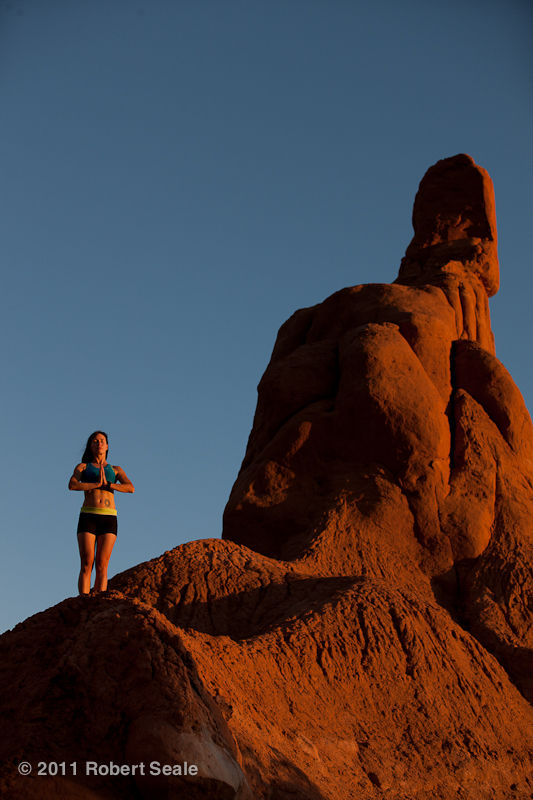 A featured athlete for ATHLETA, a Gap brand, Melanie shares her passion for the outdoors leading clients on fitness retreats in Utah and abroad and has been featured in DEPARTURES Magazine, IDEA Fitness Journal, Outside Magazine, Good Morning America and many more. With her expertise in fitness and the outdoors Melanie will guide you to reconnect to your body and to Mother Nature - the ultimate recharger! Each day we'll warm up for our paddle journey with just the right amount of core strengthening exercises including floor Pilates and functional movements. Tap into the revitalizing energy of the outdoors with Qigong, the ancient movement meditation that circulates the body's chi (energy), clears out negative blocks, and frees you up to access your own strength and healing powers. Using American Indian rituals like Navajo Beauty Walks to help you re-establish, strengthen, and find the joy of living in harmony with the earth, with yourself, and with those around you. Tired muscles get a rest at the end of each day with light stretching and yoga, helping the body recover for the next day’s paddle session. Enjoy the return of night in the desert wonderland as you drift calmly to sleep after stories and the quiet crackle of the fire.